This app aims at providing young people with a package of different core skills to learn as they enter education. The app has a great amount of content and because if this is extremely good value for money. It covers a number of the key skills needed by young people as they enter education. It covers areas and skills from mathematical concepts to sequencing, colour orientations as well letter sounds and identifications and other concepts that include body parts, jobs and feelings. A user could realistically spend a large amount of time working their way through each of the different games available and then return to the beginning and play again without feeling they are repeating themselves. On opening the app the user is welcomes to the homepage where they can select from three different types of skills/concepts. These are mathematical based, language based and other concepts that include a more varied approach to understanding such as feelings, jobs, animals etc. 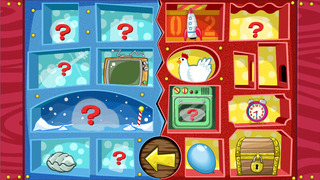 Within each of these selections there are two difficulty levels that the user can choose from. This allows for the user to have a certain amount of progress as they work their way through the game. This however, is the only selection from the front page and there is no menu to alter options or to access a user guide or visit the developer’s website. Although the game is very easy to use to have the option of a brief guide or a way to access the website would have been extremely useful. As it is the website that the developer has for the app is very intuitive. There are instructions on there as well short videos to show the user how they can make the most out of the app. Having a link to this would certainly have made the app even better. Once a user has selected which concepts they wish to explore they are given the option of choosing an avatar and typing in their name. The app allows for four users to access the content and the scores are recorded for each of the users. There is an extremely useful way of tracking the scores and levels reached by the users that can be easily accessed from the next page. The next page shows, very visually as the spines of books, all the different concepts/skills can be played. Above each of the mini bookshelves (where the books sit) there is a picture of a diploma, by clicking on this it shows, for that particular user, how far they achieved in each of the areas. This can then be shared via email or even printed off. 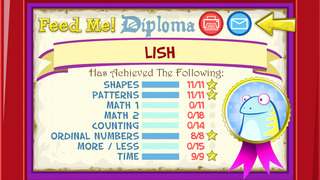 Once a user has completed each of the individual skills games they receive a trophy and from this page they can access the trophy cabinet to see how well they have done. By adding this competitive edge to the game, collecting as many trophies as possible, it is clear to see that the developers have worked at engaging young people into the learning. 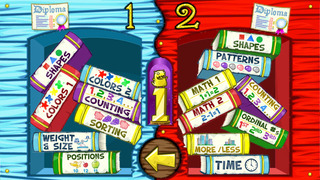 The games themselves all follow a very similar pattern with the user’s avatar playing an important role in helping the user to select the right answer from a choice of three. Although there is this repetition it doesn’t distract from the learning and engagement in the app, in fact it makes it feel more familiar so you aren’t having to try and decipher, each time, how to access the content. It is worth noting for English language users there are some Americanisms within the app. This includes the American spellings of certain words as well as the selections of certain animals and their names. Names and animals that wouldn’t necessarily be common for UK children. Also, within the language concepts/skills section there are some aspects that seem to make the overall educational value questionable. For instance when looking at sounds the game will start by asking the user to select initial sounds of words but then half way through they will need to get the right sound for the middle of a word. This doesn’t follow the educational teaching of phonics in the early years. I would also suggest that for UK schools this app is going to be most useful for children starting early years education rather than before. Some of the concepts are slightly harder but also there will a lot in the early years teaching that this app will be able to compliment. Overall this app is extremely good value for money. It combines a large amount of variation in content and key skills that will aid young people in their learning. Over 1,000,000 PencilBot Feed Me! iOS apps already downloaded! This school pack consists of 3 great apps in one (2 levels per app), 34 subjects covering 40+ concepts, and 44 animated trophies to motivate kids to learn. One low price for tons of content (600+ questions in all)! The PencilBot pre-school Feed Me! series offers a one-stop solution for pre-schoolers’ learning needs – whether learning comprehensive knowledge and concepts for school readiness or learning a 1st, 2nd, or multiple languages. 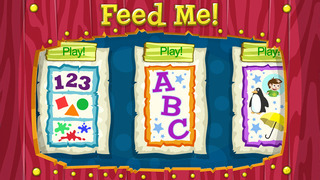 It is created by our team of teachers, game designers, and parents who have developed educational games for 15 years. This simple, easy-to-use game can be enjoyed by young children of all ages. • Feed the little monster the correct “food” he is thinking of and unlock trophies for your achievements! Go to www.pencilbot.com for more details. • Feed the monster the wrong item and he might get sick. But don’t worry; try the question again until you get it correct. • Poke the monster for fun! Expand your vocabulary through images and words. Reinforce learning with audio and text. Take advantage of children’s natural ability to learn multiple languages. Check out our other PencilBot pre-school apps in these languages: US English, UK English, Mexican Spanish, Chinese, Japanese, Korean, French, German, Italian, Brazilian Portuguese, Arabic, Russian, Hindi and Hawaiian. … after a major vetting process, … we chose Feed Me! to be part of our curriculum! …a strong app for early childhood learners…its simplicity and all of the activities have audio support for non/early readers. "...an endless buffet of educational fun...fantastic animations...provides ongoing motivation to play - and learn...perfect for kids learning their first, second, or third language...opens up possibilities for all early language learners." This is a great preschool app…both engaging and entertaining for the 3-5 year old…the many great variety of questions can be divided into many different categories, a phenomenal job at keeping the learner engaged and wanting to feed the monster more! We appreciate and listen to your feedback. If you have a tech issue, please contact us at feedme@pencilbot.com before leaving a review.